Tenga’s special edition Keith Haring designer masturbation egg features his sublime artistic work perfectly fashioned into the Tenga Egg form. The Street Egg – with unpredictable lines and formations. This egg is intended to give the user a strong and vibrant time. As with all good street art it should provoke a strong reaction, and leave a lasting impression. 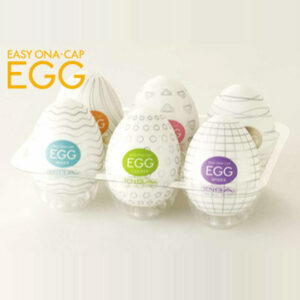 Street Egg – with unpredictable lines and formations, this egg is intended to give the user a strong and vibrant time. As with all good street art it should provoke a strong reaction, and leave a lasting impression. Diagnosed with HIV/AIDS in 1988, he tragically dies at the age of 31 on 16th February 1990 from Aids related complications. But during his last years Haring used his work to generate awareness and activism worldwide about HIV/AIDS. It is from this action that Tenga celebrates his life and supports his endeavours with the Keith Haring line.